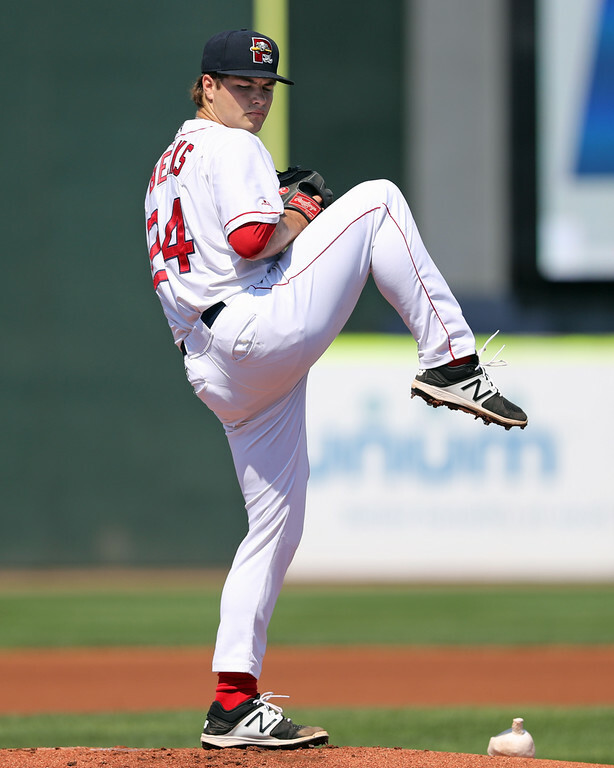 Jalen Beeks took the ball for the Sea Dogs on Saturday afternoon and excelled, tossing five shutout innings with eight strikeouts. A pair of southpaws finished it out: Luis Ysla allowed a run over two innings and Williams Jerez picked up the save with two scoreless frames. Right fielder Cole Sturgeon led the offense with a 2-for-4 day and drove in two runs. Rafael Devers was 1 for 4 with a double. First baseman Josh Ockimey was the big bat for Salem on Saturday night, going 3 for 5 and scoring a run. Derek Miller also had a strong day at the plate, going 1 for 2 with a double and two walks. Daniel McGrath struggled with his control, walking four and allowing four runs (three earned) in 4 1/3 innings. Gerson Bautista was excellent in two innings of relief, throwing a pair of shutout frames and striking out four. Right fielder Ryan Scott stood out for Greenville but it wasn't enough as they dropped their first game of the season. Scott was 2 for 4 with a double, triple, walk, and four RBIs. Bobby Dalbec was 1 for 4 with a walk and two runs scored but struck out three times. Michael Shawaryn was rocked in his first start of the season, allowing nine runs in two innings. However, Daniel Gonzalez, Jordan Weems, and Stephen Nogosek pitched well out of the bullpen, only allowing one run combined. Player of the Night: Jalen Beeks was dominant in his first start of the season, tossing five scoreless innings and striking out eight with two walks. Beeks was great in Salem last season before a midseason promotion to Portland. He pitched to a 3.07 ERA before the promotion and a 4.68 mark after.